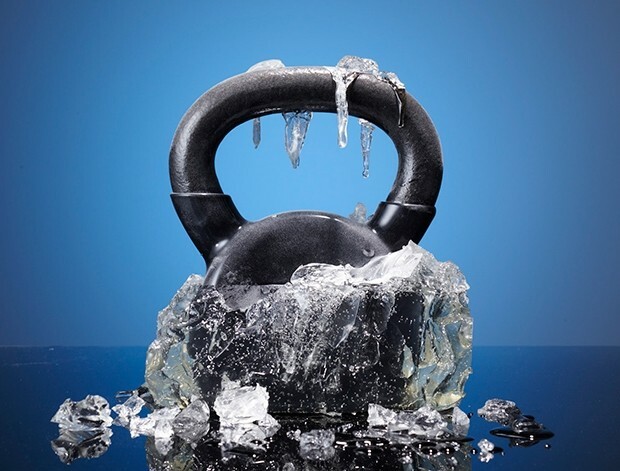 If you think the impending winter — with its nail-biting temperatures and early darkness — is enough to get your shirking your regular sun-kissed workouts and skipping the gym three times a week, then you may want to think again. A study by London’s St. Mary’s University has found that colder conditions (like those you are now prone to avoiding, wrapped-up in bed) are of added benefit with exercise, especially when it comes to pavement-pounders. This is due to the heart rate dropping by 6% during running, leaving less blood to pumped around the skin to administer heat. Looks like you’re fresh out of excuses, especially if you’ve been avoiding a plod around the park. With this in mind, here are our nine ways to beat cold, wet-weather training. You’ll be singing in the rain (and exercising) in no time. Time to lace-up. Whether you’re cycling into work or braving a weekend morning run, cold air dries out and irritates your airways, slowing down your muscles. Swap ragged panting for controlled breaths in through your nose – the smaller blood vessels will warm and moisturize the air before it makes its way to your lungs. Burn fat, not your chest. Only rookies leave their water bottles at home on an icy day. Dehydration is still a serious issue, especially under all those layers. Fill up with an isotonic drink; the sugar lowers its freezing point. We’ll drink to that. Once your base is in place, add warmth with a layer of fleece. Think thin for 5°C and above but go chunky when the needle heads toward freezing. Top with a jacket that’s windproof, waterproof and loose fitting. Last season’s ski jacket looks cosy but you’ll regret it by the end of your street. Block out the weather by plugging into a playlist of your greatest hits. According to research by the University of Southampton, music that triggers feelings of nostalgia actually makes you physically warmer.